When it comes to journalism, nobody in the industry likes to be on the wrong side of a story. And yet, perhaps there is no better training for novice journalists than experiencing what happens when someone picks up a sniff of a story and runs with it – all the way down the garden path. I am a lecturer in the journalism department at Leeds Trinity University. Yes, that’s right, that’s the university that has a brilliant record in employability. The university that’s proud to hold a fantastic Journalism and Media Week every year. The university that has a strong relationship with alumni who value the training which got them brilliant jobs behind and in front of the camera, travelling the world and following their dreams. Oh, and it is, apparently, the university that’s banned us from using capital letters (let me set the record straight now… it hasn’t). 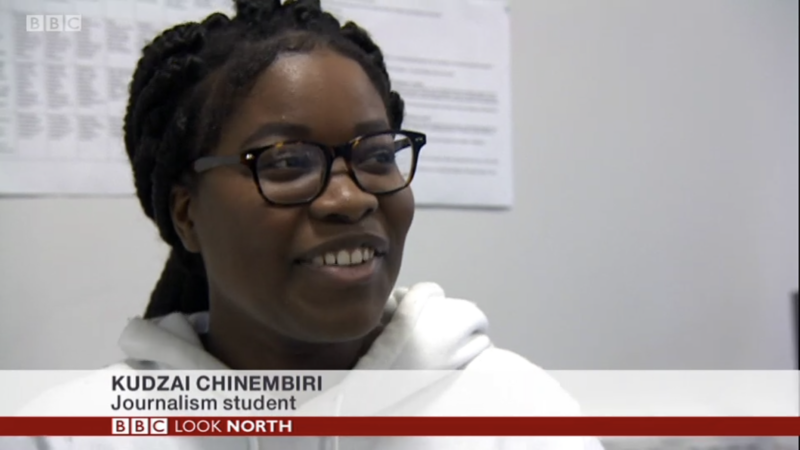 So yesterday, while first year undergraduates were out testing their mettle by filming packages about the possibility of a second referendum, Black Friday and the expensive housing market in Leeds, while final year undergraduates were running back-to-back live radio broadcasts, while students from year one to post-graduate were appearing on a BBC broadcast about the future of local news, some of our esteemed national media were more interested in bandying about a misconception. And while the ‘story’, has been recognised as a non-story by other members of the industry (because they have seen the original memo which simply advises lecturers to explain assessments in a clear way which every student will benefit from) some kind of Brexit-fatigue perhaps appears to be fanning the flames of a tale, which if interrogated would fall flat on its backside. Our students are not ‘snowflakes’ – that’s a derogatory term which shuts conversation down and fails to give credit or respect to the voices of young people. It’s a bullish label which belongs in the playground and minimises reasoned debate. Our students are bright, intelligent, interesting people who know a hack from a handsaw. While flimsy journalism might manage to get some sparks out of these already dying embers, they crack on with the real job at hand; getting a degree and making the most of every exciting opportunity given to them. And now they have had one of the best training experiences yet; knowing when a story is a non-story and knowing it will be tomorrow’s fish and chip wrappers – if you can still make such a thing from clickbait tabloids and their ilk. Previous Staff at Johnston Press face an uncertain future, following an uncertain past. It certainly is ‘business as usual’.